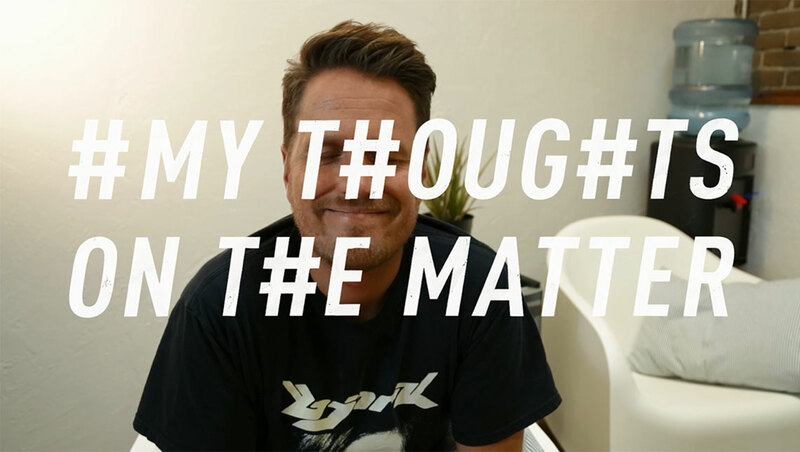 Welcome to the first transmission of “My Thoughts on The Matter”, the semi-regular webisode we film with the intent of giving you a space to share your thoughts on topics ranging from music to typography. You can become involved in the conversation by posting your responses within your own social media channels or on ours! In this episode, you’ll find out what word Kelly struggles to spell. What’s the word that you have the most difficult time spelling? Is there a pesky word that even your spellcheck can’t recognize what you’re trying to type? Don’t be scared, just hashtag #mythoughtsonthematter to participate.